It began with what seemed like an ordinary children's birthday party. This party, however, was far from ordinary. It was held at Camp David, the presidential retreat. And it ended with a daring kidnapping. . . which immediately turned into a national security nightmare. Sean King and Michelle Maxwell were not looking to become involved. As former Secret Service agents turned private investigators, they had no reason to be. The FBI doesn't want them interfering. But years ago, Sean King saved the First Lady's husband, then a senator, from political disaster. 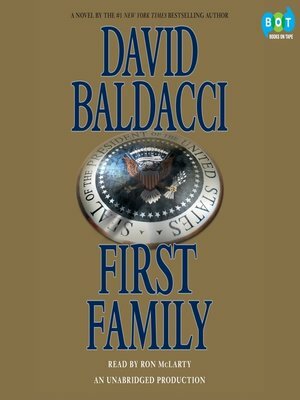 Now Sean is the one person the First Lady trusts, and she presses Sean and Michelle into the desperate search to rescue the abducted child. In the race to save an innocent victim, the line between friend and foe will become impossible to define. . . or defend.